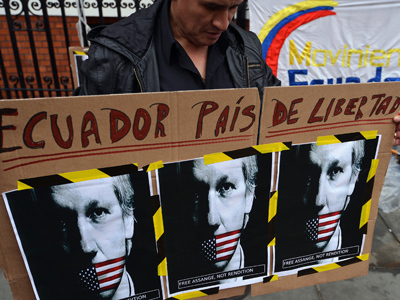 If the US is willing to treat US soldier Bradley Manning inhumanely, what will they do if they get their hands on Julian? Christine Assange spoke with RT about that fear and more as her son seeks asylum in Ecuador to avoid a similar fate. ­RT: How do you feel about the work that your son has done and the effect that it has had on the world, not only on the policies of the United States, but also on his life? Christine Assange: When Julian initially started WikiLeaks he told me that he was doing something to help people in repressive regimes be able to whistleblow; to get the truth about some of the abuses happening inside their countries. For four years that is what happened and his life was not threatened in any way, he was safe with that work. But then when documents came to WikiLeaks drop box on America – things all changed. For some reason it was all right to produce documents about other countries, but as soon as the United States was embarrassed – his life became threatened. So I have two reactions. One as a mother – of course I’d wished he never done it. But as a citizen, having investigated what Wikileaks has done – to bring transparency to the world about the abuses of power, corruption, extortion, kidnapping, torture, and fraud involved with big financial institutions – of course I completely support my son. RT: So can you talk a little bit about your son: how is Julian Assange? CA: He is not what the lot of media says he is. He is a very simple-living person. He is not at all materialistic. In fact he still has quite a limited wardrobe. 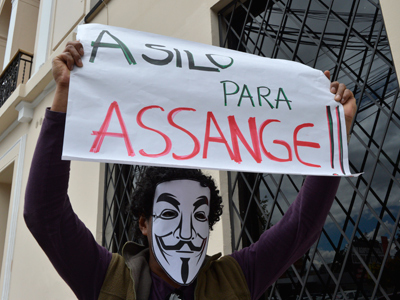 WikiLeaks is a not for profit organization and they run modest wages, including Julian. This was not in any way to create a “financial impact”, as some people say it is. He is actually quite a sharp person. He only went in front of the media, really, in any sort of a big way, when the American disclosures came out because he wanted to defend WikiLeaks. It is not really his way to be in front of the cameras. If you knew him personally, you would find that he is a little different from what you’ve seen from the cameras. He’s much more relaxed, he has a very good sense of humor; he would smile more and laugh more. RT: What did you imagine when he was growing up, even in his early adult years, that this is something he could have done? He’s actually quite a creative person. When he was about five he used to pick up the harmonica and play blues harmonies, very naturally, and he can also draw. He is a bit of a Renaissance person and he can write beautifully, so he has chosen to direct his energies into Wikileaks, which is basically journalism combined with the Internet. He’s a good father, he was a very young father. Many people don’t realize this, but at certain point his son’s mother was unable to care for Julian’s son, and he stepped in and was a single father for many years, and he had sole custody of his son from about the time his son was 18-months-old. He gave up his studies, gave up his career to look after my grandson until he went to school, and worked just part time after that so that he could be a hands-on farther. RT: Does he just have one child? CA: He has two children but I don’t want to talk about this because I’m trying to protect the family. RT: Do you think that your son’s life is in danger? CA: Absolutely. From the beginning, US politicians and news commentators were screaming out for his murder in the most brutal way. There seemed to be no filter at all in how they were feeling; calling out for brutal forms of murder, inciting murder against my son. 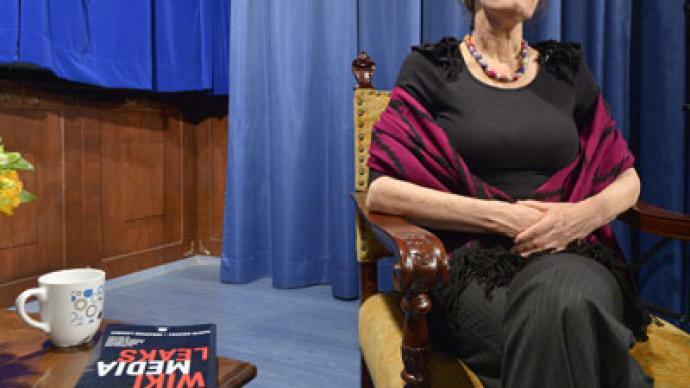 And still in the last few weeks – I think it was the Fox News presenter Kathleen McFarland (Fox News' National Security Analyst) who was screaming out for Julian’s execution. This is somebody who has not broken the law and has done nothing but what any good investigative journalism would do – just to bring truth to the people – and has won very many awards for that. RT: You’re here in Ecuador. Are you here particularly to advocate for his political asylum request? CA: Yes, [Ecuador’s] Foreign Ministry invited me so that I could speak on the conditions in Australia, why our government abandoned him. RT:Could you talk a little bit about that? CA: Yes. Unfortunately for Australia, we have a prime minister who really could only be described as a puppet for the US. Her approval rating is 27 per cent. The people are not happy with her at all. And from the beginning the prime minister condemned my son in the media, speaking ahead of the case which is unheard of in Australia. To speak about a case and commit judgment upon a person prior to a trial, to jeopardize his right of presumption of innocence by saying that what he does is illegal. She actually preceded the US government in their statements. And despite the fact that the Australian federal police some two weeks later decided that Julian had broken no laws at all in Australia. And while the US Treasury had refused to blacklist WikiLeaks because they could find no crime that had been committed, the Australia PM Julia Gillard continued to defy my son ion the media. 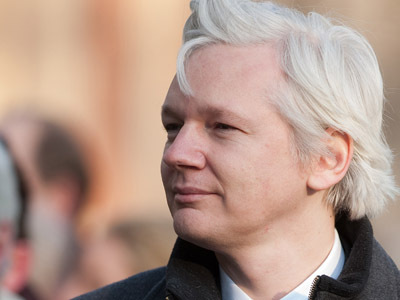 RT: Do you think that the Australian government would hand Julian over to the US if they had the possibility of doing so? CA: Absolutely. This is a great concern, given that the US has been labeling its own citizens as low-level terrorists. With America being in the top five countries executing their own citizens in the world, and that actually has escalated since 1987 – from one a year to 98 a year – this is a great concern. RT: So, your son has been possibly falsely accused, he’s now been detained for over a year and a half in England, and there appeared to be a secret grand jury against him in the United states andrequests for severe punishment on him. 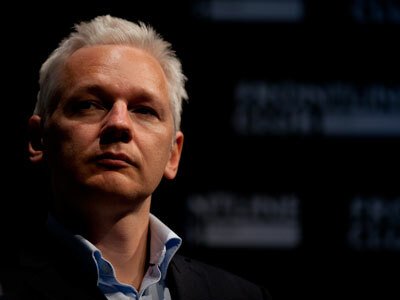 What do you think would happen to Julian if he were extradited to the US? CA: I have some first-hand information on what is likely to happen. Apart from what they’re doing to one of their own soldiers- Bradley Manning – which the UN report on torture says is cruel and inhumane treatment. I was on a panel in Canberra, our capital city, about the asylum. One of the other speakers was an Australian called David Hicks who spent six years in Guantanamo Bay. President Obama came to office with a promise of closing down Guantanamo Bay, but it has not been closed, and in fact there is $30 million worth of fiber optics going into it as we speak. David told the audience about his treatment in Guantanamo Bay and this is something we could expect for Julian if not worse, because David Hicks was a very minor player. I’m terrified at what might happen to my son. RT: Do you think that he’s going to get political asylum here? CA: I cannot say that. All I can say is that I was very impressed by the level of intelligence and knowledge that the foreign minister, the president and his other ministers had of the case; much more than my government was willing to admit. If they [the Australian government] have been given the evidence of the case, they have no understanding of it or they are deliberately misrepresenting it to the people. They were very warm, I felt very comforted by being with these good people. I felt that their concern for Julian was genuine. They expressed belief that the case is political and really disgraceful the way that the rule of law has been abused, they concerned about my son’s human rights. They are going to be looking at every detail so they can make a sound decision. They are leaving no stone unturned to find the truth and that is all I can ask of them at this stage. RT: The documents published by WikiLeaks have been incredibly useful for many of us doing investigative reporting in Latin America, because they disclosed all kinds of different evidence of the US meddling in the affairs of countries in the region, particularly against those who have progressive governments. CA: The one cable moved me the most was the Haiti cable. For the US to take advantage of a poor country that was going through a horrific earthquake, and to use that blackmail to try to get that minimum wage downor refuse them aid,and to block attempts of Venezuela to reduce the cost of oil to 60 per cent so that Haiti could build its hospitals and schools. And then for the US embassy to send a cable back from Haiti saying “the gold rush is on” to the same US contractors who were found doubling quotes after hurricane Katrina. After I read this cable – that was it for me. I looked at others, but that was the one that touched my heart the most; the lack of ethics and the brutal materialism to do that to a poor country suffering that amount of distress.